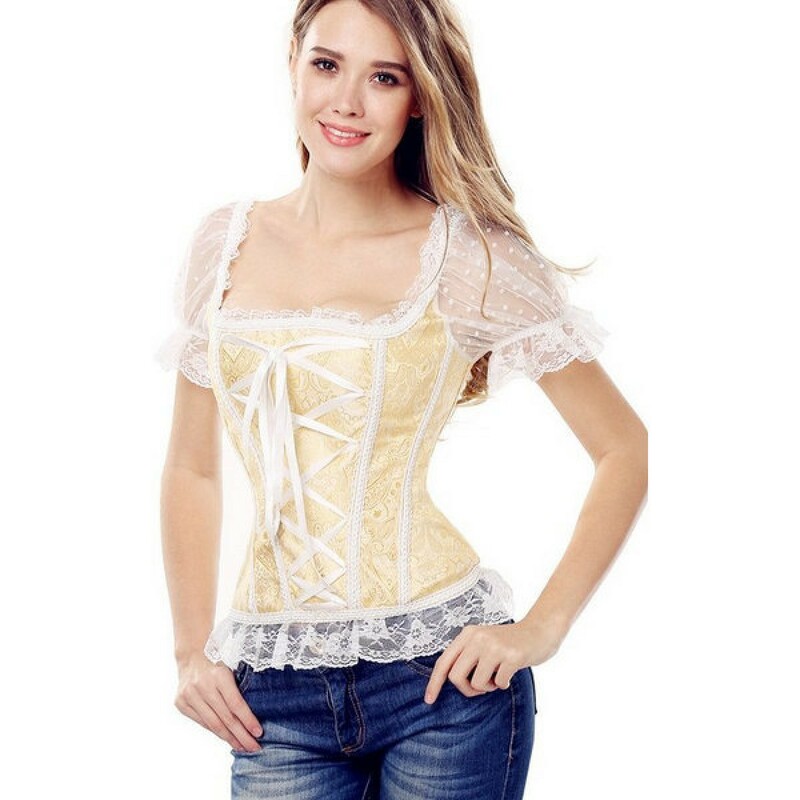 Corset with lace in different colors. The rods are highly resistant PVC. Bring metal closures ahead, so it is easier to put on and remove the brace. It is tied with rope behind. Combine it with leggings.